Happy Friday! Today I’m sharing this comfy casual outfit that’s perfect for Spring Transition. I call this look my “Momiform,” because its variations of this that I wear most days. Lately i’ve been all about dressing for comfort, and only wearing flats or sneakers since I’m constantly running around and chasing my two boys. When I first started my blog I wore heels all the time, and I just have to laugh because that is not my life at all anymore. Can you imagine me running around in 5 inch heels? Dropping my kids off at school, getting stuck in the grass at soccer practice, tripping on toy trains and trucks; I think id break both ankles. 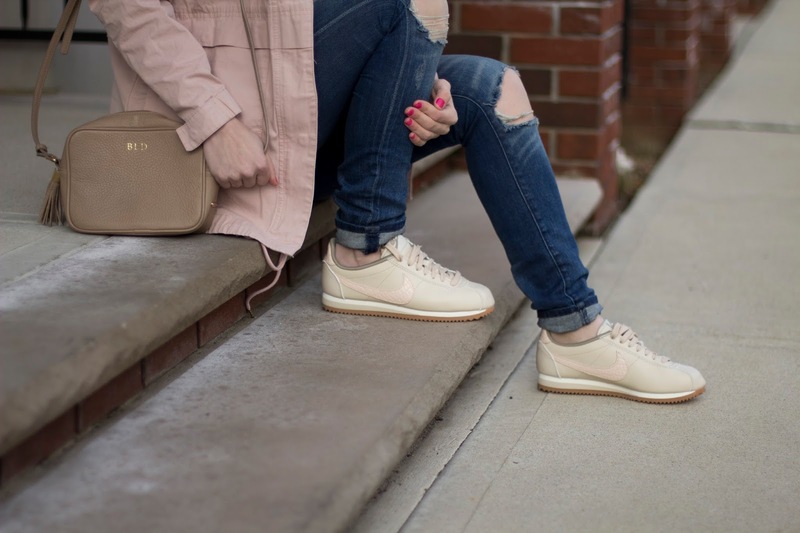 These Nike sneakers are my new favorites for spring. The neutral tones with the blush pink swoop, it doesn’t get much better than that. Plus this criss cross tee is the perfect addition to anyones wardrobe, only $29, and adds a little bit of style to the everyday outfit. 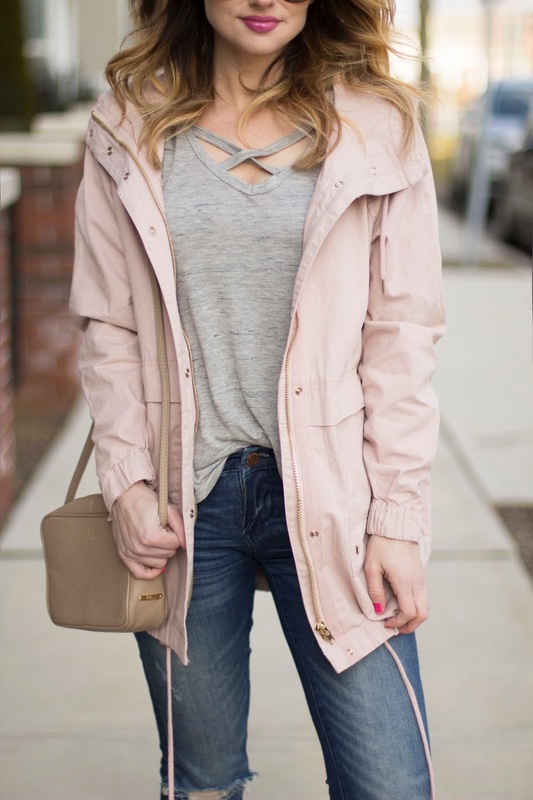 Oh, and just like most things on Kiss Me Darling, this blush pink utility jacket is also a killer deal! You know I love a good deal, and this jacket is one of them for only $35! I hope you all have a wonderful weekend!